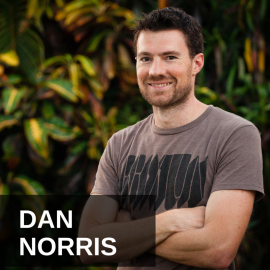 Jason Hartman: Hey, it’s my pleasure to welcome Dan Norris to the show. He’s coming to us from down under. That’s in beautiful Australia. And he is the cofounder of WP Curve. Now, probably the vast majority of those listening who have websites are running it on a WordPress website. And he has a very interesting model to service people who use WordPress and help make them more effective and save them a lot of money with WordPress. Dan, welcome, how are you? Dan Norris: I’m great, Jason. Thanks for having me. Jason Hartman: Good. Hey, it’s good to have you on the show. So, first of all, give us a little bit of your background before we jump into WP Curve and the very unique business model you’ve developed. 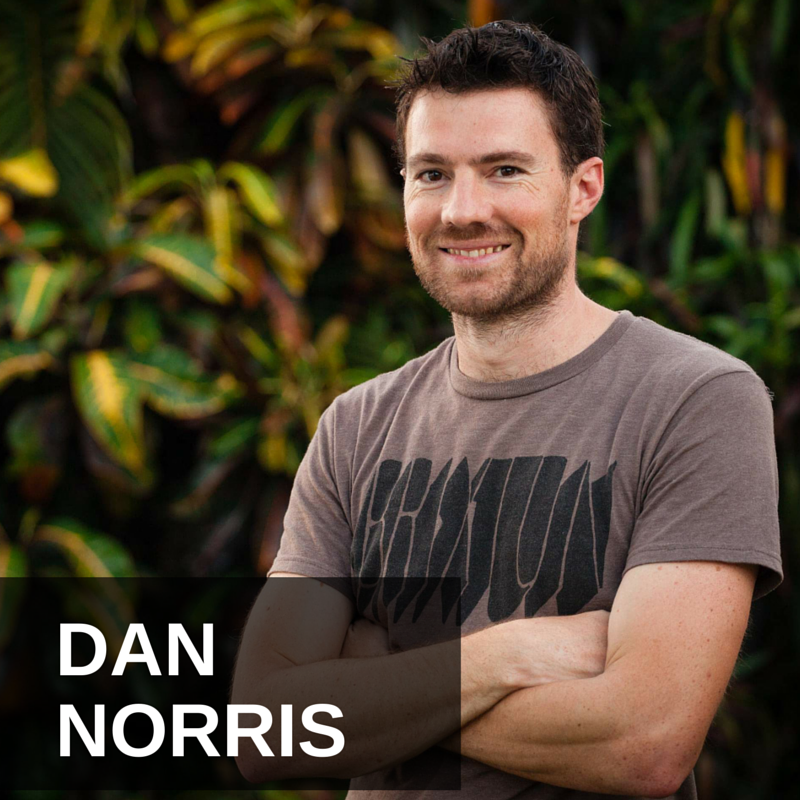 Dan Norris: Yeah, so my past has been running a small web design agency which I ran for 6 to 7 years. And like a lot of people who ran that sort of company, I had moderate success. It ran well enough to keep itself alive, but it didn’t really turn into what I wanted it to turn into. So, I sold that the year before last and I decided that I was gonna work on something that was a bit more exciting to me and something that could grow into something more significant than a local agency. And I played around with a few different ideas, and the one that seemed to take off, which we launched four months ago was WP curve, which yeah, as you mentioned, is a new way of managing small WordPress fixes. Jason Hartman: And so what is this? Like a call-in service where you lead someone through how to fix their website? No, it’s not that, right? It’s something where you actually fix it, but it’s a subscription base where it’s a flat fee per month, right? Dan Norris: Yes. We charge $70 a month and you get unlimited small changes to your site. So I guess what we’re really good at is development, is fixing problems. And so we don’t design new sites, we don’t do hosting, we don’t do a whole bunch of the stuff that a typical local agency would do. All we do is we solve problems with WordPress. So when our customers install a plugin or upload a blog post and it doesn’t look right or anything to do with WordPress, they do an upgrade to the WordPress core and it breaks with their theme or something like that, then they email us and if it’s a small fix which a lot of these things are, then we fix it usually within 24 hours and we do unlimited fixes each month for $69 a month. 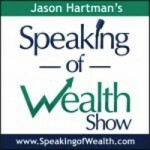 Jason Hartman: Well, one of the things I asked you before we started today is couldn’t that really just be very taxing? Can’t you lose money on that? I mean, how do you make that work? Now, there are 3 programs, $69, $99, and you have a more expensive one, too, but gosh, it seems like people are always having trouble with their websites. Dan Norris: Yeah. So, there’s a few ways around it. What we do is when someone first signs up we do like a bit of an audit of their site and we kind of proactively look for what are going to be problems down the track. So, if we see a site that hasn’t been upgraded in 6 months and it’s got a bunch of plugins that are security risks, and it’s got a bunch of spammy comments or something like that or if it’s got a really bad host, like we will give clients that advice as soon as they sign up and we’ll implement all of that within the first week or so. We’ll make sure everything’s documented. We’ll upgrade WordPress, make sure it’s all secure, run the security scan and all of that. So, we kind of proactively made sure we’re not gonna get major problems like sites being hacked and things. And then from there it’s really just most clients probably send 3 or 4 jobs in a month. They can send more some months. Some months they might send no jobs in, but their piece of mind is for them that we make it unlimited so that they don’t have to worry about it. They just know that running their website, making sure that it’s not gonna crash and making sure that it’s gonna look nice and they’re not gonna have problems and making sure they’ve got 24/7 support and access to a developer who can fix any single problem they have is something they have to pay $70 a month for and that gives them the peace of mind. The main different between the first 2 plans is the $99 plan gives them proactive monthly upgrades and support. So like we’ll go in every month and we’ll upgrade WordPress, we’ll upgrade their plugins and we’ll contact them and let them know with the small, fixes planned they have to request a job from us and then we’ll go in and fix it. Jason Hartman: And what do they do to interface with you and interact with you and that 24/7 support? Do they call, do they fill out a web form, email, what? Dan Norris: Yeah, just email. We have live chat as well, so the way it typically works is people email support at WPCurve.com and that goes to both of the founders. That’s me in Australia and Alex in The US. And we have two developers in different countries so we can cover the 24 hours. And we’re growing very quickly, so we’re looking at hiring more developers. But at the moment, there’s 4 of us, so we can easily cover that 24 hour time zone. And we have the live chat that runs 24 hours as well for if people have something really urgent, like if they’re literally doing a launch or something and something breaks and they really need us right then and there, then they can jump on live chat and make sure we can fix their problem right away. Jason Hartman: Tell us why things break. I mean, for a non-techie person, it seems like you should just be able to build the website, have it up there, and it should just work forever, right? Not so much. Why do they break? Dan Norris: Yeah, I think the best thing about WordPress is also the worst thing which is the plugins. It’s the fact that you can get a theme from any developer around the world, you can get a plugin from any developer around the world, you can put that on your site and do amazing things with your website that before you literally would be charged tens of thousands of dollars to do. And this is what used to happen. If you wanted to add a forum to your site or if you wanted to add comments to your site that wasn’t a CMS driven site, you would get an invoice from your web developer for thousands of dollars. So, these days you just click a button and install a plugin. But, because your website is effectively built by hundreds of different people around the world you might have a theme from one place, 20 plugins from different places and you got WordPress which may or may not be up to date, then stuff just goes wrong. And then you throw the multiple devices into the mix as well, multiple hosting companies. One client hosting on GoDaddy is gonna be a totally different experience to another client hosting on WP Engine. One client who has a high percentage of mobile visits is gonna have different needs to a client who most of their visits come on a desktop. So, there’s just too many variables. And I think we’re at the stage now where a tech savvy type business owner can probably do 90% of what needs to be done on their website like they can do an amazing level of stuff, but most of them get to a point where they get stuck and they need a developer occasionally. Jason Hartman: And is that developer like a quick chat? Obviously, these 4 developers that you have in all the different time zones, they have the passwords to the website, so you’ve got 4 people in there, right? Plus the 5th being the owner. Is it an immediate response or do you promise a certain response time or what happens? Dan Norris: Yeah, so if people want an immediate live response then they need to get on live chat. But 99% of the time people don’t need that. They send an email in, they get a reply within a couple of hours. Often the reply will come sooner than that and often the fix will even come sooner than that and often the fix will even come sooner. Some issues, if they’re really simple, like if it’s just a case that the business owner doesn’t know how to do something, like there might be something in WordPress that fixes their problem that they didn’t even know, doesn’t actually require someone to get in and mess with the code, then that might be fixed in 30 minutes or less. We’ve had some pretty hairy issues with like WooCommerce, analytics tracking, not tracking properly when purchases are made, and integrations with different ecommerce or payment gateways. We have kind of hairy things like that that can be small fixes but also tends to take more than 30 minutes for us to schedule and get done. So, what we normally commit to is saying that all jobs will be done within 24 hours, and in reality most of them are done a lot quicker than that. Jason Hartman: Right. So, are there any things you don’t do? Like, I mean I know you don’t do like site development and that kind of stuff, but any fixing oriented or maintenance oriented things that you don’t do, can’t do that are beyond capability? Dan Norris: If someone says I want this new landing page designed, then we don’t do that because we’re just not good at design. We just do anything to do with development. If it’s a small six, we say about a 30 minute job and we’re reasonably flexible with that. If something’s like 45 minutes, then we tend to go in and just fix it anyway rather than messing the client around and saying we can’t do it. But, generally like a 30 minute fix, it doesn’t matter what it is, if it’s inside of WordPress, then we’ll do it. Jason Hartman: Right. So let’s talk about some different plugins, themes, security issues, things like that. Since you’re doing this all the time for so many different clients, you’ve got a real eye on it monitoring it. Our last web development agency, they like developing in Joomla. WordPress was like their second choice. They did other things. You just do WordPress, so you have that knowledge. What are some of the good products and things that people should be using? Maybe we start with themes and maybe we talk about plugins and add-ons after that. Dan Norris: Alright. So, I suppose the main thing with themes is there’s probably a few things. One is you want your theme to be well coated which you’re not gonna tell by looking at it but there are some signs, so if you’ve got a website that’s 10 years old – you’re probably unlikely to have a 10 year old WordPress site – but let’s say you have a website 5 or 6 years old, then your theme might be old, it might be coded badly, there might be a whole bunch of bad stuff in there that you can’t even see which probably isn’t a good idea. So a nice modern theme well coded by a reputable company is good. Responsive is good, so the themes we use generally, we have a couple of places we got the themes. The main one is the elegant themes because their pricing is really good and they’ve got some really nice looking themes. Most of them are nice and responsive, which means they work on tablets and mobiles. People have been talking about that being a big deal for as long as I can remember. But now it’s getting to the point where it’s almost like a must have on a website. You need to have something that looks okay on a mobile. So, that’s probably the main thing, just making sure it’s well coded which can have impacts on speed and SEO and everything else, making sure it looks nice and modern and making sure it’s responsive are probably the 3 things. Jason Hartman: And that’s on the theme angle, but what about plugins? Dan Norris: So, I guess there’s a few things to look out for with plugins. The two big ones I would say is one is make sure they’re always kept up to date. And we see like a lot of people who sign up to us have whole bunch of stuff in WordPress that isn’t up to date. And if you’re logging into WordPress and you’re seeing a whole bunch of numbers, then you’re not doing it right. And I think what actually happens is people are nervous to update stuff because they don’t have that support. And we want to change that by making sure that people are completely confident to run WordPress the way it should be run because they do have access to that support if they need it. So whether that means they upgrade the plugin every time it needs upgrading or they just email us and tell us to do it or if they’re on our proactive plan, we just do it anyway. But that’s a big thing. You need to make sure you’re doing that for security reasons. And the second thing I would say with plugins is if you can avoid having too many of them, then that’s a good thing to avoid because you run into a whole heap of issues when you’ve got lots of plugins. There’s security, there’s speed, there’s not really knowing what plugins you’re actually using. Like, we have some customers with like 50 plugins on their site, and they don’t even know when these are being used or if they’re being used and it just gets really, really messy. So, the less the better. It’s pretty hard because there’s a lot of amazing stuff out there that you want on your site. But the less the better. Keep them upgraded. And I guess the same with the themes is ideally you want to get plugins from a reputable source. So getting them from the WordPress directory’s a good idea and checking the ratings, making sure a lot of people use them in those positive comments and positive reviews. Make sure they’re regularly updated for security. And if in doubt, our clients call on us for advice with that sort of stuff, so we put out a bit of content on what are the best plugins to use for certain things and that kind of thing. Jason Hartman: What about plugins, though, that have features? What kind of features should someone want on their website? You talked about the technical angle, but should I add a form? Should I add a social network like BuddyPress? Do you have any thoughts on some of those things that are really smart to add and maybe not so smart to add? Dan Norris: It’s a bit of a hard question to answer. I think every website’s different. There’s a few plugins that I like. I like Disqus which is the commenting plugin. I like that because it tends to increase the quality of the comments on your site, it means you don’t have to worry about spam. It automatically emails people who reply so you get that conversation going in email and people don’t have to remember to go back to the site. It looks nice and clean. So that’s a good plugin that I like for comments. We have a plugin that we give away for landing pages, like a really simple plugin that enables people to create a landing page for email opt-ins. So if they’re say using Infusionsoft and they want to get people onto their list with a free e-book or free something then we have a little free plugin that enables them to drag and drop and put the images and the opt-in forms on their page and those pages tend to convert a lot better than just putting an email box on your sidebar. There are hundreds and hundreds of plugins. I could probably keep going all day. Jason Hartman: Right. But just any sort of big ones that are obvious and easy that people really should be using. Dan Norris: Yeah, so I mean for content marketers, I think you definitely should be using some kind of commenting program that works and just stops you having to worry about spam because you don’t want to be wasting time on that. So, if you’re doing a lot of content on your site which is typically what our customers are doing, then you want to have ways of building your email lists so that landing page is plugin or something similar. There’s a bunch of plugins like LeadPLayer which captures emails by playing videos. So, yeah, there’s a bunch of those sort of plugins. Yoast SEO is the SEO plugin we use. We also use the Yoast Google Analytics plugin. So, I think people definitely should have Google Analytics installed. And, yes, it just makes it a lot easier. You don’t have to copy code across and stuff like that. And they’re a pretty reputable developer of plugins. Maybe the last one I’ll say is social sharing. Actually, I’ll say 2 more. One more is social sharing, so we used the dig-dig which enables people to share via Twitter and Facebook on their posts, but there’s a bunch of plugins you can use for that. I like that one because it scrolls down and it kind of stays out of the way. And we use Backup Buddy for backups which if there’s a bunch of different ways to do backups, if the hosting company does a good job of it like WP Engine, then that’s the best case scenario, but otherwise using a plugin like Backup Buddy just so you can like show your backup things before you make any changes so you can fix it if something goes wrong. Jason Hartman: Right. And so in terms of backup, that kind of segues right into the next topic I wanted to cover the next area, and that is preventing hacking, dealing with security issues, viruses. First of all, how big a threat is that? Is it a no big deal thing that people sort of worry about or is it something that people should be very diligent about? Dan Norris: Well, I guess when you look at risk you’re looking at how likely it is to happen and you’re also looking at how bad it is if it does happen. And so there are two different factors to two different people. One person might say it’s pretty likely to happen, but if it does happen we’ll just restore it and it’s not a big deal. Or a more security conscious person might say I don’t want to have bad stuff on my site. If I’ve got thousands of visitors, I don’t want to see them seeing something they shouldn’t see. And they might be totally devastated if their site gets hacked. So I guess that’s the way you gotta think about it. And in terms of is it a big deal? It is a big deal. I mean, sites get hacked all the time. Even my last company, because we seized Joomla as well and for some reason Joomla used to get hacked a lot more than WordPress did, but I think also a lot of that has to do with the updating. So, Joomla was harder to update at the time. And if you’re not upgrading your site and you’re running old versions, then there’s definitely a chance your site’s gonna get hacked. And how big that chance is I think there’s too many factors to even tell. I think it depends on the hosting, it depends on the plugins, depends on how much traffic you’ve got. It’s kind of one of those things where it’s easy to avoid by keeping everything upgraded and doing security scans which we do every month, having a good skew of hosts and that’s what you have to do if you want to avoid it. But if you want to just make sure we can fix it quickly when it happens, then you just need to make sure you got backups and you can restore quickly if it happens. Jason Hartman: Yeah, absolutely. And is there anything that’ll tell you if your site got hacked? One of the things is it’s not just preventing the hacks or restoring after the hack, but it’s even knowing that a hack has occurred. Dan Norris: Yeah, it’s kind of scary. This has happened quite a few times where people have said our site’s been hacked. Can you have a look? And we’re seeing files up there that have been there for months and months. It’s probably a bunch of different ways you can tell and some of them you wouldn’t think of. So one way you can tell which is probably the worst way is all of a sudden your email start bouncing and people are trying to send you emails or you’ll send emails out and people aren’t getting them, you don’t know why. And the reason why that has happened is because your website’s been hacked and someone has loaded a script up there that has emailed tens of thousands of people from your domain or your IP address and your IP addressed has been blocked by all the big spam providers out there that check email. It’s blocked and blacklisted. Once your blacklisted, anyone’s email client who uses those spam providers to check if something’s spam will start blocking your emails. And that’s not very nice because it takes quite a lot of time and effort to get off those blacklists. Jason Hartman: That’s not very nice at all. How do we prevent that? Dan Norris: Well, same thing. You need to make sure everything is upgraded all the time. We do monthly security scans, so scan the actual files to make sure nothing’s updated. Don’t use any plugins that you don’t trust. Turn off any plugins you don’t use. Have a good, reliable host that’s secure, they’re the main things. So, in terms of finding out if you’ve been hacked, the email thing’s bad. Another bad one is when people go into Google and search for your site, they get a warning from Google saying the site’s not safe, which is a total reputation killer. So, you definitely don’t want that one either. Although, it may or may not impact more people in the email thing, but it’s equally bad. And the same thing goes when that happens. You need to first clean up the site, run through a bunch of things, get off Google’s list, and potentially tell people what’s happened. I mean, it’s just something you want to avoid if you can. Jason Hartman: Yeah, it certainly is. Any thoughts – and this is more of a philosophical question I just want to throw out there – but it seems very unreasonable to me that Google gets to control this much. I mean, the fact that someone’s whole business can be ruined based on what Google thinks or more accurately what Google’s computers think, that is just a scary thought. Google is not the government. You don’t like have recourse if Google blacklists your site or you get flagged for spam or something like that. I mean, I’ve heard stories like this with people that it’s just ruined their business. Like I’ve heard stories like this – before you answer, this may make your answer easier. But I’ve heard of companies hiring like an SEO consultant that will do a bunch of black hat marginal unscrupulous things to get them more traffic. And at first they’ll like it because they get a lot more traffic on their site and their rankings are better. And then Google de-lists their site and like it could take them years to get back on. I mean, that’s just crazy. That scares me, stuff like that. Dan Norris: Well, it’s very easily avoided. I put the fault for that back in the business owner. I mean, it doesn’t sound nice. Jason Hartman: I don’t know, but tell me. Dan Norris: Yeah, it’s your business and you can decide whether you want to go down the path of doing grey hat stuff. I mean, if you’re paying an SEO consultant to go out and build links on link networks and run comment spam and do article spam and all this kind of stuff, the first thing I tell people if they’re paying an SEO consultant is ask them what they’re doing. I take a totally different approach – I don’t do any SEO at all and I don’t need to. Google’s still my biggest referrer but it’s not my only referrer. So that’s the second part of it is if you’re putting all your eggs in one basket that’s kind of like saying I’ve got a business that only relies on the yellow pages. Jason Hartman: Google’s so big. I mean, their monopoly is giant. Dan Norris: Yeah, but there’s plenty of ways to get traffic to a website and get customers. Like when you talked about Infusionsoft before, almost all of our customers start out by finding us somewhere whether it’s Google or whether it’s this podcast or whether it’s a forum or whether it’s content we produced or whatever, social media. Dan Norris: And then going to Infusionsoft, that builds a relationship with them over time and then they become a customer. The original traffic source, while Google’s our number 1 referrer – like I’ve had a business before where Google’s been 80%-90% of the traffic and I just wouldn’t do that again because it’s a silly thing to do. Jason Hartman: Oh no. It is a silly thing to do. And everything they’re saying, I completely agree. Of course, we all have to watch our own store. That’s our job. But a lot of business owners, they’re not internet experts. They just know, hey, more people visited the site, I’m happy. And then they’re devastated later, right? Dan Norris: I suppose so. But I mean if a website is a big part of your business, then you want to be paying some proper attention to your website. Jason Hartman: Of course. I completely agree. Okay, good. Well, anything else on the security issue? I wanted to throw out that philosophical question, but anything else about security and hosting? Dan Norris: I suppose with hosting it’s just a tricky thing where people want to go with the cheapest host because maybe they don’t see the difference or maybe their business isn’t profitable enough to afford a decent host but I think if you can’t afford a decent host then you want to do that. And we like to recommend WP Engine because we’ve got clients that use it and they’re more expensive, but they’re more secure in a whole bunch of ways. They’re faster and your site is very unlikely to get hacked if it’s on WP Engine. If it’s on a giant shared hosting account with 5000 other sites, then the chance of being hacked just goes through the roof. Jason Hartman: Now, where is WP Engine located, though? I mean, you have to be somewhat concerned about host location, don’t you? Dan Norris: I’m not exactly sure if they run their own infrastructure. I think they do run their own infrastructure. I’m not like a really technical hosting person, but they’ve got a whole bunch of their own technology around caching and things that make their sites faster. And they’re very, very scalable, so I’m not exactly sure how they do that, like if they’ve just got a bunch of machines or they’ve got some kind of cloud set up, the data centers around the world – I really don’t know. All I know is that our clients that use them have faster sites, they’re more secure sites. And things are easier. Like, just little things like when you go do an upgrade in WordPress and you’re on WP Engine, WordPress tells you you need to go into WP Engine and click the button to back the site up. And you can take an instant snapshot of your site and it will back it up instantly, much easier than something like BackupBuddy. You literally just need to click the button and it emails you 5 minutes later saying the site’s backed up. So, little stuff like that just makes a big difference to security. Jason Hartman: Fantastic. Yeah, very good. Did you want to close with any points on optimization and conversion for bloggers and content marketers? I know that’s some additional stuff that you do outside of the WordPress side of the business. Dan Norris: Yeah. So, I guess our content strategy is our customers come from our content or from offsite content, which I would consider this to be offsite content. So our strategy that’s working really well for us is just to go out there and help a bunch of people with their problems. And it doesn’t mean helping them with WordPress – like we’ve talked about WordPress a lot today – but most of the time we do podcast interviews or we go and do a video for something or a webinar or something. We’re not talking about WordPress because really business owners don’t care as much about WordPress as they do about their business. And if they care about their business, what they really care about is getting traffic and getting conversions and getting customers. So that’s what we tend to talk about more than actual WordPress. I think the model that we seem to be tapping into is people out there who want to create a lot of content and they know how to do that. They know how to create content and all the rest of it and they don’t want to have to worry about WordPress. That’s where our business comes in. And that’s where I’m personally passionate about it as well rather than going out and employing an SEO consultant to run a bunch of comment spam to get you backlinks, actually go out and create something useful. Create a podcast, obviously you’ve created 16 of them, but any business owner can do that. I’ve got a guide on my site that tells a business owner how to start a podcast from scratch. And I started one and a bunch of our customers have them. And that’s just one way to do content. There’s videos, there’s infographics, there’s blog posts, video tutorials, webinars, just a whole bunch of ways to go out there and create good value for people and makes you less reliant on Google and makes you manage using WordPress the way it’s designed to be used which is a content platform. Jason Hartman: Absolutely. And I think it’s all about content and especially free content, very good way to get customers and build consumer trust over the long term. So I think that’s very important. What are some of the mistakes that people are making there, though? Like, you talk about the typical blog – like I’m looking at your site here – typical blog conversion less than 1%. But if it’s optimized more than 5%, what’s the problem there? What are people not doing right? Dan Norris: I mean, there’s a bunch of stuff on our site there. I don’t know if you’re gonna link up 20 of these things, but I’ve got like a free review that we have, people can download it to Google Doc. We can run through a page thing which will tell you how to increase your conversions. But to be totally honest, a lot of the time it’s probably maybe one of 3 things. One is proof or trust. And if I go to a website, it needs to have high quality stuff there and there needs to be a reason for me to trust them. So, I think what probably tends to happen is if you’re putting out a lot of really good content and people are finding out about it, then people will see it 4 or 5 times before they have a level of trust to opt-in to your email list. And if they opt-in to your email list, then the trust is gonna go through the roof because they’re gonna hear from you over and over again – hopefully not too often but regularly enough to learn more about what you do and you’re gonna give them more and more value and their trust is going to build. So, a lot of it is about trust and just making sure that everything looks good, the content is really high quality, you’re solving big problems for people, so you’re giving them a reason to trust you. The second thing is just about strategically putting things on your site to make sure people do opt in. If you’ve just got an email box in the side of your sidebar that says “Subscribe to my newsletter” then you’re probably missing a lot of opportunities for capturing email addresses. And I mentioned landing pages before, but there’s a bunch of other ways you can do that. You can use popups, which I’m not a huge fan of, but they’re very effective. You can use scroll opt-ins that come up when people scroll down the page. You can put opt-ins below each blog post that relates specifically to the post so that they’re more relevant and you can give something really useful away. And I mentioned trust, so you can gain people’s trust by really solving their problems. Like I mentioned the conversion things before, we’re giving away a plugin that increases their conversions. We’re giving away a 14 page document that enables them to review their site to improve their conversions. So we’re giving away some pretty good stuff that we could probably quite easily charge for. So all of that is trust building. And it’s a reason for someone to enter their email address. And once they do that they go into Infusionsoft and Infusionsoft is smart enough to kind of keep them up to date over time and work out who are the people that might be a suitable customer and put them into a different funnel to tell them about our business. Jason Hartman: How long have you been using Infusionsoft? Dan Norris: Maybe about 6 months. I kind of outgrew MailChimp pretty quickly. So I was using MailChimp and really the reason for moving to Infusionsoft was just email marketing. I’ve got a bunch of free email courses on my site as well and MailChimp just didn’t do a good job with auto responders. And so that was the reason for moving across, but since then we’ve gotten a fair bit more sophisticated with it. It’s a really awesome piece of software, Infusionsoft. Like, I was able to pick it up very quickly, but I’m still seeing things that we can do. And every time we launch a new product, we’re in Infusionsoft, we’re adding sequences, and we’re kind trying to work out how to best use it and using more features of it, but we use it – we use it for the email marketing now. We got an affiliate program, we have all our orders and subscriptions in there and all of our leads, and so we’re using a lot more than we did when we started. Jason Hartman: Fantastic. We’ve been using it for 3 and a half years I think. And it’s a very deep program. It does a lot of stuff. It does a lot of stuff, it’s great. So the website is WPCurve.com and, Dan, why the name? Dan Norris: Well, actually I started it with the name WP Live Ninja, then I met my cofounder and he broke the golden GoDaddy rule which is you need to wait 24 hours before buying a domain name. But he didn’t – he just saw that there was another company called Live Ninja and thought actually that sounds a bit too similar, so I’m gonna think up a new name. And literally, like his first day of working for me, it went and bought the other domain. And we both liked it, so we stuck with it. Jason Hartman: Yeah. It kind of makes me think of learning curve. That’s what I think. Yeah, that’s great. That’s excellent. Well, good stuff. Anything else you’d like people to know, Dan? Dan Norris: No, if you got any questions about any of this stuff, anything to do with WordPress or analytics or content marketing conversions, just email me [email protected] or just go to WPCurve.com and check out our blog and, yeah, I hope this has been useful. Jason Hartman: Fantastic. It has. Dan Norris, thank you so much for joining us.